Several years ago, I visited my doctor with some disturbing symptoms – most notable of which were a recurring rapid heartbeat and chest pains. At my age and physical condition, a heart attack seemed unlikely – but after several days of this I naturally began to worry. Well, let me rephrase that. I actually began to worry the minute the chest pains started, but it took several days for me to get worried enough to go to the trouble of see my doctor. My doctor agreed, based on my symptoms, that a heart problem was probably not the cause, but he ran tests just to be safe. One clean EKG later, it was clear that something else must be wrong. “Have you been under any stress?” he inquired. I laughed. My whole life has been one giant ball of stress. It was true, though. I had taken on an additional job (on top of my other two) and was working way too much. Besides that, one of my employers was in an extremely precarious financial position, which put a lot of strain on the person who managed the money – namely me. In addition, in the course of our conversation, I revealed that I had had a near-death experience several months before. Well, once my doctor heard that, he was quick to arrive at a diagnosis – anxiety. It seemed plausible. I was under a lot of stress, and had little time for anything but work which I no longer enjoyed. It was also true that I had been profoundly affected by my near-death experience. Still, it seemed strange. Although I’m certainly what one might call a “worrier,” I had never suffered from anxiety – in the clinical sense – before. Not when my mother developed her mental illness, not when I ran away from home, not even when I was homeless and starving. But perhaps the effects were cumulative, I reasoned. Perhaps all the years of stress had finally caught up to me. I was getting older, after all. Maybe I just wasn’t able to handle things the way I did when I was young. My doctor prescribed Lorazepam. I normally avoid medications except when absolutely necessary, but after a few weeks, I was so unnerved by these ongoing issues that I agreed to take it. And I did. It was frustrating, though, because it didn’t seem to do much. Yes, the tightness in my chest lessened slightly. Yes, I worried less about the symptoms I did have because my mind went a little hazy when I was on it. But it didn’t solve the problem. It didn’t fix me or return me to normal. I still had that tension, that pounding in my chest and I wondered – would it ever stop? You can therefore imagine my immense relief when, four months later, my symptoms suddenly vanished as quickly as they had begun. It was over, I thought. Whatever had triggered the anxious response was gone, gone from inside me at last. I could go on with my life. And I did. I went about my business. More than that. I began thinking about working my way towards a new life – a life that I really wanted. Several months later, for no apparent reason, my symptoms returned, even worse than before. I’d go to work in the morning, and within a few hours, my heart would be pounding, I’d be sweating profusely, and, of course, totally freaking out that this could have happened to me again. Panicked, I refilled my long-depleted Lorazepam prescription. But again, it had little to no effect on my symptoms. I was stunned, and more importantly, puzzled. I simply couldn’t understand it. The first time, sure. I could see where the combination of stresses I was under would have caused this kind of reaction. But why would it go away and then come back? Had there been a new triggering event of which I hadn’t been consciously aware? It was at this point that I decided to start keeping a diary to see if I could discern a pattern as to when my intense feelings of nervousness were at their worst. I never even got that far. Because once I had decided to do that, I realized that my anxiety did indeed have a very definite pattern. It would start in late morning, peak mid-afternoon, and finally start tapering off after that. This made no sense. Yes, I had a heavy workload, and one of my jobs was incredibly nerve-wracking. But I didn’t see how that anxiety could be tied to a particular job, because my work schedule was different every day. Even on weekends, when I worked from home, I had the same symptoms. What else could possibly be provoking this daily – and seemingly cyclical – response? My mind turned at once to food, as I knew that blood sugar could affect mood. But since eating in the afternoons makes me exceedingly groggy (falling-asleep-on-my-desk groggy), I have long made a habit of skipping lunch. Therefore it couldn’t be something I ate – could it perhaps be the fact that I wasn’t eating? But if that was the case, then why did my symptoms always go away before dinnertime? If lack of food was the cause, then logically, it seemed as if I should have gotten better only after a meal, not before. I only had one other habit that I could think of that was tied to particular times of day, and that was coffee. Yes, I did drink a lot of coffee. Mind you, I’d always drunk a lot of coffee. In fact, at this time I was consuming far less than I had at other points in my life – even in spite of having multiple jobs and a correspondingly crazy work schedule. But I drank it very consistently, eight six-ounce cups a day, according to my little coffeepot. I’m a sipper, not a chugger, and it took me from the time I got up around five until noon or one o’clock to finish all that, but I usually did. It seemed unlikely, I’ll admit. Why would I be able to drink all the coffee I wanted one day without a problem and then feel as if I’m having a heart attack the next? It made no sense. But I was desperate – so desperate that I decided to give it a try, even if it meant messing with my precious morning ritual. I bought some decaffeinated coffee and the next day I made my coffee half-and-half. And that was the end of my anxiety. How could this be?? Months and months of strain and worry and nervousness that I feared would never go away, and it could all be explained by something as stupid as too much caffeine. But if my coffee-drinking habit was so consistent, then why did my symptoms vanish and then return? This, it turned out, was the key to the whole problem, and the one that convinced me that I was right. My favorite coffee is actually Costco’s Kirkland Signature Colombian Blend, which is very strong and bold, just the way I like it. However, the Costcos around here are so crowded that I very rarely go to one, so I don’t always have this coffee on hand. Well, when I went back and examined my receipts and mileage logs, it was plain to see what had happened. Around the time my symptoms first started, I had made a Costco run and bought the Kirkland coffee I liked. When that ran out, I drank a different – and presumably weaker – brand from the grocery store for a while. Some months later, I made another Costco run and went back to the Kirkland. And bam! That was when I started having “anxiety” again. So what is the lesson here? Anxiety is a very real problem for large numbers of people, and undoubtedly for most of them, it does have a psychological cause. But we as a society are perhaps a little too quick to assume that our physical problems result from emotional stimuli. Look at my doctor – what did he see? A high-stress person. A difficult personal history. And unexplained heart palpitations and chest pains. Naturally he jumped to the conclusion of anxiety. But did he ever even ask me if I was taking any stimulants, even the ordinary kind? Did he ask me if I was taking allergy medications, some of which, as I’ve learned since, can also cause heart palpitations? No. He ruled out the obvious potentially serious physical causes and never bothered to dig any deeper than that. Look at you, you poor dear – you must have anxiety. Now hush up and take your medication. It’s been four years since then, and I have not experienced even a single day of anxiety in that time. Not one. I drink much less coffee now, but I do notice that if I overdo it on the caffeine that the symptoms threaten to return – my chest tightens, my heart rate increases, and I sweat more than usual. But that’s it. It’s not anxiety – it’s physical tension caused by overstimulation of my system. But can you imagine if I had not figured this out? I would have spent the rest of my life choking down worthless chemicals, having god-knows-what long-term effect on my body, and constantly feeling as if my mind’s about to spin out of control. Unlike purely physical ailments, mental illnesses feed off of and reinforce themselves by creating fear and creating worry. It’s not like when you break a leg and you know you just have to wait six to eight weeks for it to heal. You can’t know when or if you will ever recover from an emotional condition. It’s almost enough to give you anxiety. I suffered for nearly a year – for nothing. From a so-called illness that didn’t even exist. The miracle is that I came out of it more or less emotionally unscarred – and with a healthy skepticism towards the medical profession. I don’t blame doctors. They’re human too, after all, ordinary people trying to do their jobs as efficiently as possible, just like the rest of us. But that’s what makes it so important for patients to be their own advocates. I trusted my doctor because he knows his profession, and I don’t. But he was wrong. And who finally arrived at the right diagnosis? I did. Without any medical training at all. Not because I’m smarter or better educated than he is. No, but because I know my body in a way he never will. I know the intimate details of my life in a way he never will. And ultimately, because I care more about my body and my life than he – or anyone else – ever will. I decided to put this story out there because it simply horrifies me when I think of how many people there must be who, like me, have been diagnosed with anxiety, but are really suffering from a case of too much Starbucks – or any of the many other readily available modern products that contain stimulants. How will they ever know? Their doctors will probably never even know. And it does make one wonder what effect this misdiagnosed population has on patients with genuine anxiety disorders. Have their treatments been altered or affected because of these other folks who are sadly unaware that there’s nothing actually wrong with them? How does one judge the true efficacy of a medication if it’s also being used on individuals who aren’t really sick? This, to me, is a very sad situation, one that people should know about. Of course not everyone can be cured of anxiety by reducing or eliminating caffeine – but what a difference to those who can. I’ll be the first to admit that one of my great pleasures in life is the joy of waking up to a freshly brewed cup of coffee. But even that can’t compare to the happiness I felt in discovering that my “anxiety” wasn’t real. This entry was posted in Science & Society and tagged anxiety, caffeine, coffee, heart palpitations, mental disorders, mental illness, mood disorders on June 30, 2014 by lorilschafer. I hadn’t really thought about the caffeine thing for a while until a friend of mine – who, like you, is a doctor, but a general practitioner – mentioned that she had had an irregular heartbeat several times recently during moderate exercise. Naturally she ran out and had all manner of tests, all of which were fine. But you guessed it – she had recently changed her workout schedule, which meant she was exercising right after Starbucks time. You might want to give reducing the caffeine a try – although it sounds as if your recent lifestyle change might help some, too ;) And here’s a funny thing – a couple of months ago I quit all of my jobs in accounting to become a full-time writer! I know it’s not the same thing, but I do also feel a sense of relief in no longer being responsible for other people’s money. Wow, that’s fantastic! We’re both full-time writers now! We’re going to do what we were probably genetically designed for, writing, thinking and creating! It’s like a dream come true. Of course all the downsizing around here will be difficult for awhile. It’s tough going from six figures to no income, but the stress of that is small potatoes compared to dealing with people’s lives and their money (which is only one step removed from their lives, since we all sort of trade our heartbeats for dollars as employees). Congratulations on breaking free! Very true, as a recovering drug addict i know from experience doctor’s are more then ready to hand out medicine, and usually without really looking into the problem first. But even aside from over prescribing, a lot of the medications are making people crazy, specifically anti depressants. If you look at the people who have done all the mass shootings and things like that in the past 20 years at least almost every one of them was on an anti depressant or anti psychotic medication. That doesn’t surprise me at all. Yet another case where the cure is as bad as the illness! I have a friend who’s on anti-depressants and what really scares me about them is that you can’t just stop taking them if they don’t agree with you – you have to be “weaned” off of them or the consequences can be dire. Hi Lori, Great post. So glad you got your anxiety under control. Prescribing pills is a very easy thing for a doctor to do. I think the important message is that no one knows more about your body than you, and no one cares more about your life than you. For many though, it may not be as simple as reducing caffeine or popping a pill. Anxiety and panic attacks are no fun thing. I don’t drink a lot of coffee and I don’t find that it interferes with my sleep. 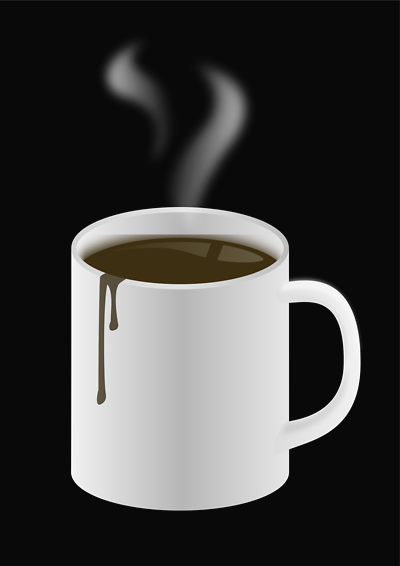 Many of my friends decline coffee after a particular hour, but I usually have my first cup in the evening. Maybe because I am not already fully caffeinated it doesn’t seem to affect my sleep. Yes, I suppose everyone responds differently to these kinds of things. That’s probably why it’s so difficult to figure out what’s going on, since one individual might have a big reaction to a specific substance, and another none at all. Fascinating post, Lori (but they all are). I’ve not suffered thank heaven not that I’ve ever drunk that much coffee (now tea… that’s a different matter) but I know of enough people who struggle to sleep if they drink it too near bed time. Slightly different problem hit the Textiliste and me when the Lawyer was about 2; he started rubbing his eyes so hard the skin eventually bled. The doctor offered a steroid cream! Finally we had him allergy tested – we’d tried to remove milk, then orange juice – turned out he was allergic to both so by replacing one with the other we were compounding his problems. Once that was clear – water only with some soya sweetened with apple juice worked well enough, the skin settled down. Though he now has a cone shaped iris and has to wear a special compound contact to stop his sight deteriorating which I’m sure is linked to his ferocious rubbing. Thanks for sharing your experiences. Ew, sounds gruesome! Glad you’ve got that under control. Yep. I gave up all coffee. Even decaf. It makes my heart race. Great post! And that is precisely why I drink half-caf at home and ALWAYS, ALWAYS get decaf at Starbucks. Maybe six years ago, I had a frappucino from Starbucks – I was awake for almost two days and had exactly the same symptoms you’re describing. Whatever Starbucks uses is majorly caffeinated. It’s a little scary. I’m so glad you’re okay. Two days?! Sheesh – now there’s a horror story! They must have their own special beans hidden away somewhere – you have to be a hard-core addict to handle them.